Welcome to my little corner of the internet, and happy Meal Planning Monday! Today, I bring to you a pretty quick and easy recipe that is sure to make everyone happy. It is easily customize-able, and you can add to or take away from it! 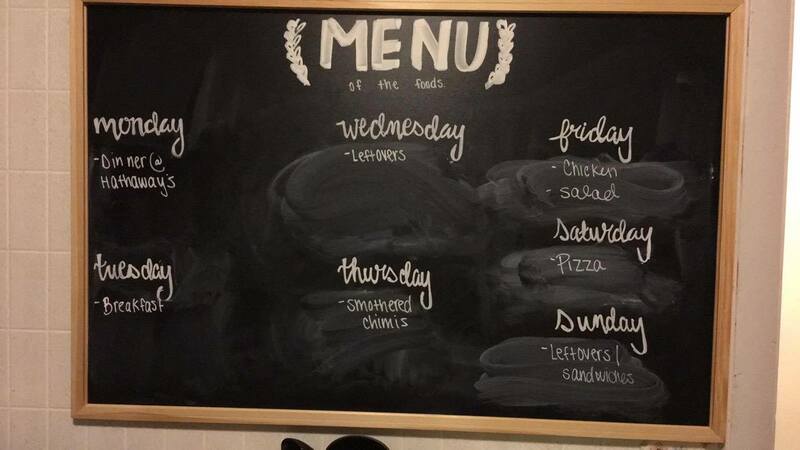 First, here’s what the Parry’s had for dinner last week. 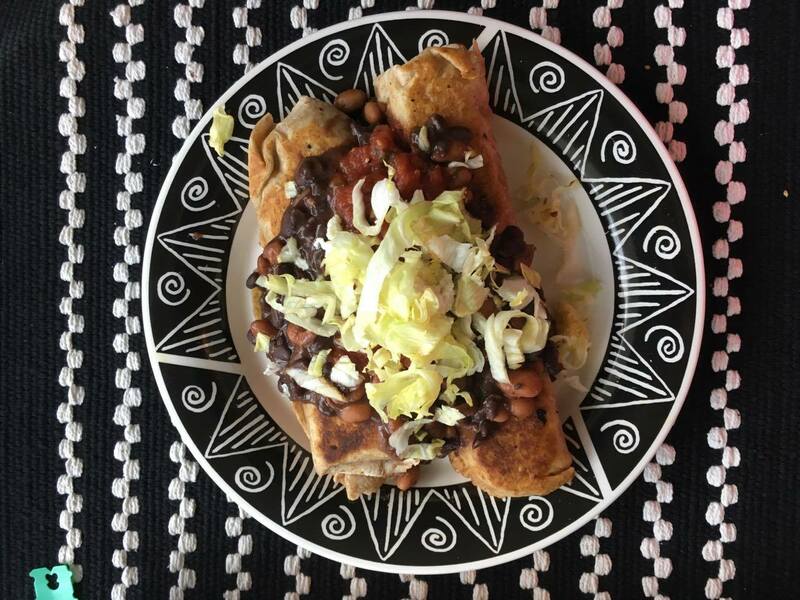 The recipe that seemed to be a favorite last week was Thursday’s Smothered Chimis (not even sure if I spelled it right, but chimi is short for chimichanga). This meal is full of color and flavor, and just might fill you up enough to put you in a food coma. We try to avoid cow’s dairy and use goat/sheep dairy instead. I will explain how I made this meal, but if your family uses milk dairy products, those would work great for this recipe as well! Remove the lid and use a pair of tongs to flip the chimichangas. Continue to flip the chimichangas every 1-2 minutes until both sides are slightly browned. Remove from pan. This recipe can be changed in so many ways. You can use fresh avocado, red or green enchilada sauce, bell peppers, mushroom, lime, etc. in order to add a bigger variety of flavors. If someone in your family prefers something simpler, it is so easy to simplify this recipe as well. It is definitely one of those recipes that can be made with whatever you have available each time you make it, and be different each time. I hope you enjoy it! !